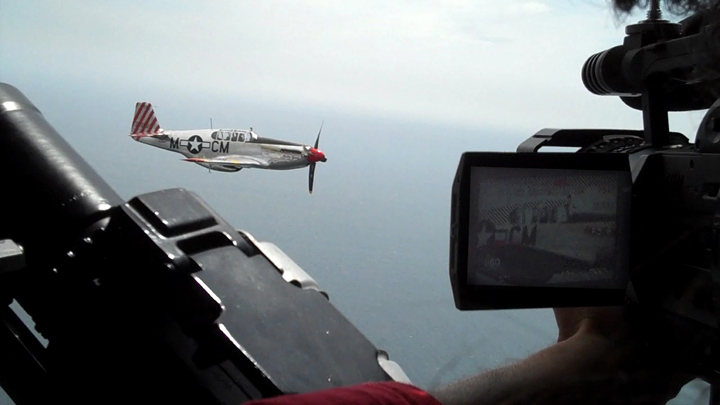 Mark shooting footage of Vi in the P-51. The machine-gun you see to the left was the one used by the Waist Gunner in this B-24 Liberator Bomber during WWII. (and yes, that is an open "window" that Mark is shooting out of).